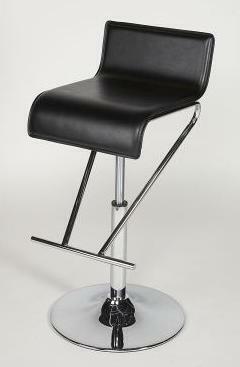 Modern style adjustable swivel stool. Seat height smoothly adjusts from 21-31” with pneumatic gas lift. Upholstered in Black PVC. Also available in Red or White PVC. Comfort footrest, column and base finished in Chrome.